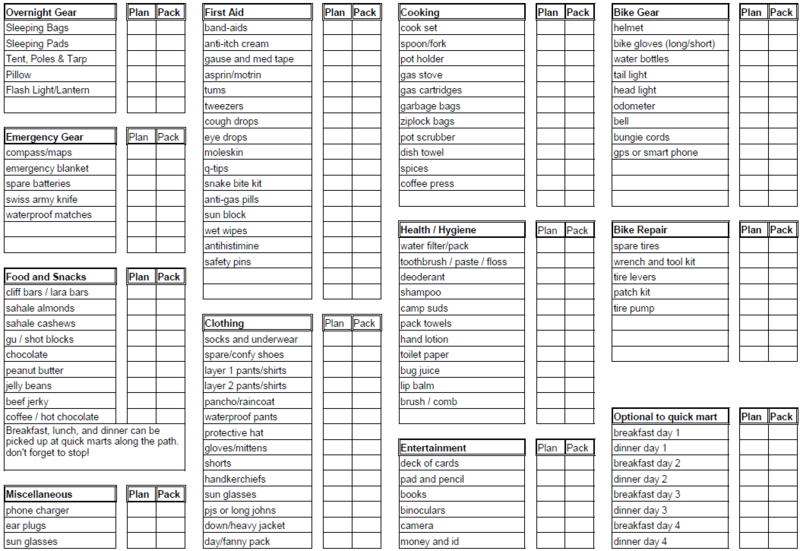 This is my bike tour pack list. Currently at version 1.0 on 5-May-2013. ODS can be opened with Open Office and probably Microsoft Office as well. It is the open document format. 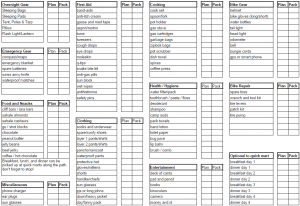 I tried to leave enough room so that people could add items that are more specific to their needs. For myself, I have taken the flask off of my list, because I don’t drink anymore. 🙂 Feel free to add it back for yourself. Also, I may add speakers to my custom list because I like to ride with music.